Travis Ortiz is a writer, visual artist, and DJ living in San Francisco, California. He is the author of Variously, Not Then (Tuumba, 2012) and Geography of Parts (Melodeon Poetry Systems, 1998), and his work has been published in Bay Poetics, Chain, Salt, WOOD, Mirage #4/Period[ical], and Poetics Journal. Travis’ new ambient CD compilation with the Ambisonic collective, Chillout, includes his collaboration with Databass (Sean Abreu) featuring text from Variously, Not Then. 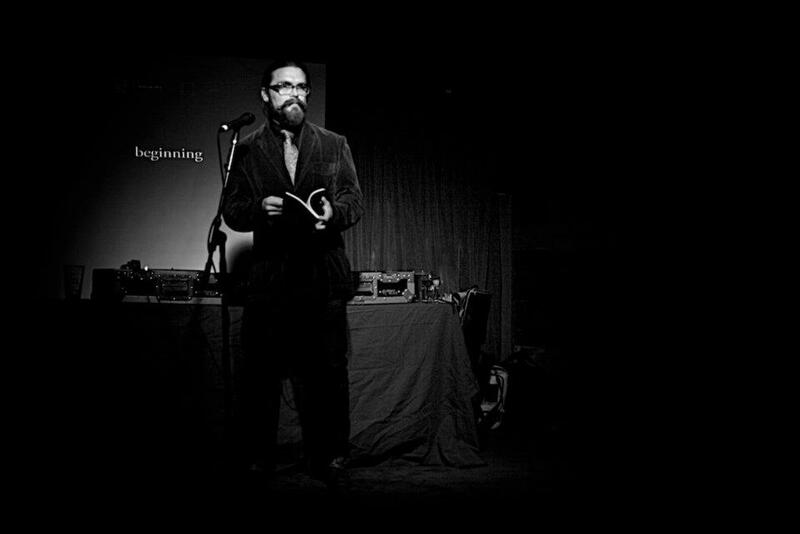 Travis founded the press ghos-ti, which highlights the visual aspects of poetry. He is also the co-director (with Lyn Hejinian) of Atelos, a literary project commissioning and publishing cross-genre work by poets.